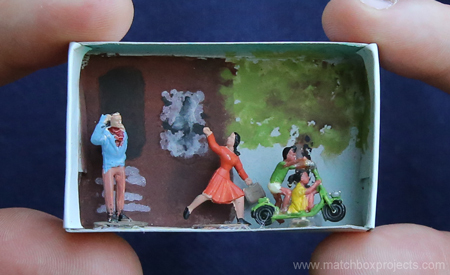 We will be touring through various boroughs collecting “People Make Places: New York” matchboxes. Check back here for regular location updates and/or text or call for locations and times. This entry was posted on Friday, June 3rd, 2016 at 10:26 am	and is filed under Our Blog. You can follow any responses to this entry through the RSS 2.0 feed. You can leave a response, or trackback from your own site.